That is the word I have chosen to take me through 2018. I have a feeling I’m going to need a lot of it as I have set myself some high goals to attain and, knowing myself well, I will need constant pushing, coercing and chivvying along until I reach where I want to be. 2017 has been a year of enormous unforeseeable change for me, I went from a part-time job to a full-time role in January and discovered it was increasingly difficult for me to juggle the work-life balance. When school kids have 13 weeks holiday, the 21 days I had this year went nowhere. I am all too aware that this moment in the twins life will flash by in front of my eyes so I’m determined to make the most of it and get to spend some quality time with them that, they can learn from and carry through in life. I changed job in November. I started as a TA in our local primary school, a job I have never previously considered. I quickly discovered that I loved it and recognised so many possibilities to make this role work even better for me. Studying will most definitely be a part of my 2018, I’m not sure which course or direction but anything from a 1-year course to a full-blown degree. More on that news to follow. A second idea I have been toying with is a Couch to 5k running class, I know – ludicrous. Me, who HATES running. But, I’m unhappy with my figure, I’m unhappy with my fitness levels and my general health so I need to do something about it whilst I am still able to. My only concern is for my knees which I can only assess once I start running. I have found a local running group and should start my first lesson in January, plus it’s free! I want to start practising yoga, I want a stronger core and a clearer mind. I’m searching for a Saturday morning class to attend. Finally, I’ve convinced myself to pick up a project I started with great enthusiasm a couple of years ago and then left to one side for lack of time available. I believe this project still has legs so I’m determined to complete the first stage in 2018. Then I will be able to see if it has legs to go further or not. I hope it does. I have spent many hours dreaming of how far this could go and I will only know if I set the wheels in motion. Wish me luck! I am very aware that I will need great discipline to achieve the above. I am also conscious that this is the area I let myself down in most, therefore I call upon my chosen word WILLPOWER to be my guide this year. And you? Do you have plans for 2018? Have you a chosen word to accompany you? Just over two years ago I stepped into James Villas HQ as a social media executive and set to work on helping to develop the brand’s social channels. I was so excited to have been given the opportunity and I embraced it with open arms ready to get stuck into any task that was thrown my way. It has been the most incredible journey where I have learnt so much! Working as part of a team and having my copy proofed and checked has been a good wake up call, who knew I was so keen on long sentences? I have learnt to slow down, take my time and re-read my work. I hope you are starting to see these small changes coming through. I have learnt to think more closely about images – do they reflect what I am saying? I have also learnt that working full time alongside running a home, family and life outside of the office doors is a real struggle. My main challenge came with trying to cover the school holidays. The girls get 13 weeks off and I had 21 days. It was this, that led me to hand in my notice – something I never believed I would do. I had imagined working until my retirement at James. When I was reflecting on my life and how to make it better I started to search for jobs that would compliment being a mum. I needed a job that fits in with school holidays and school hours. That would allow me to take the girls to after school clubs without skidding out of one door and screeching into the next, red-faced and often having forgotten something or even worse – arriving at the wrong time. I had always pushed teaching to one side as I didn’t think I’d be good at it but as I started to look more closely at the opportunities in local schools, I saw our local primary was looking for a TA. The more I thought about the job, read the role description, the more it became a very exciting prospect. I applied for the job and was successful – I start work on Monday morning! I am swapping the weekly business meetings for a classroom of 8 year olds. I am exchanging my snatched half hour lunch to who knows? Playground duty, lunchtime clubs or getting to know the teachers in the staff room? I shall be helping out with reading and maths, chatting about geography and science. I shall be doing all manner of tasks to assist the teacher and doing my bit to help these young fresh minds find their way. I shall also be grabbing back a bit of time for me. I want to pick up my blogging, tidy my house, read a book, help Alice learn to sew, help Bessie learn to play the piano. I want to get back into cooking again, not just quickly pulling a meal together to feed the family. I am also going to start the 0 – 5k challenge as I have managed to put a stone since working full time. So many things to do but my heart is lighter and I think I’m on to something good here … what do you think? It’s been a while now that I have wanted to do something to better myself. I like to have a project and I like to think that I am constantly working at improving my skills in one way or another, be it for work, home or just for fun. I just need more time in the day, that’s all. Small ask. Anyhow, I have signed up for an NCC course in creative writing. I’ve been playing around with the idea of writing a book for years, I have started a few and slowly petered out, unsure of my words and unsure of the path to complete the story but every time I listen to people like JK Rowling, who celebrates 20 years today since Harry Potter first published, I am inspired and my desire to write kicks in again. Who knows, maybe by the time I am 100 I’ll have something to show you. In the meantime, I am working on improving my writing skills. I think I have come a long way since my first attempts at blogging. Grammar, spelling, attention to detail and constructing a simple sentence that is understandable have all played a role in this process and I am very aware that I have a long way to go before I will be satisfied with my work. NCC is an online home learning website that has many different courses to complete; science, culture, health care and business are just some of the sectors where courses are offered. The forensic scientist course shouted out at me but that’s because I love Silent Witness and other similar dramas. I can’t really see myself taking up a career in this sector and I’m not sure I would sleep easy either. So, I’ve gone for the creative writing course, I’ve completed the first module and started the second, so far so good. I don’t feel as if I have learnt anything new yet but I am looking forward to ploughing ahead and discovering lots of new styles of writing. I shall be looking at poetry, writing for radio, novel writing, life writing, writing for children, non-fiction, scriptwriting (looking forward to this module). I will even have to sit an exam at the end. The good news is I shall have a certificate if I pass. But more than the certificate, I’ll have spent some quality time improving and expanding an area of my life that I love and am passionate about. What about you? Would you like to take up a course and further your knowledge? If so, what would you like to study? Disclosure: NCC has given me a Creative Writing course (without tutor feedback) in return for a review. I’ll be back soon (after 200 hours study) to let you know how I got on. A few other friends have taken up the challenge and you can find out what they are studying and how they are getting on here. I think it might be my best achievement to date, being a finalist in the Family & Lifestyle category of the BiBs 2017 awards! Holding down a full-time job, running a home and family and on top of that writing is not a task for the weak. Continuing to write is a passion, it has to be otherwise why else would I use my precious free time to keep on at it? But it has paid off and I am wearing my finalist badge with honour. 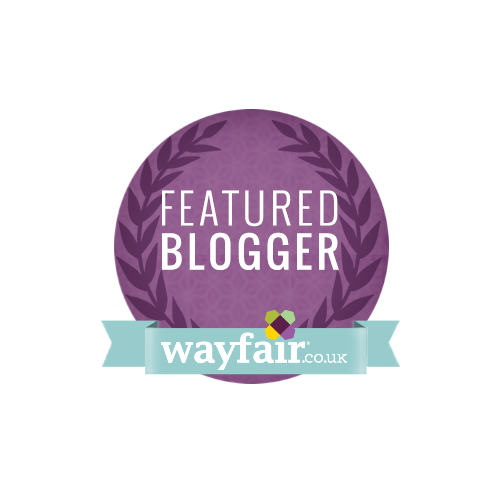 I am over the moon considering the exceptional quality of blogs out there. Loyal readers will know that I have been blogging for over 7 years now, I started in 2010 when there were a mere few hundred blogs and we spent our time writing, commenting and learning the skill that has since become so popular. It was a very different scene back then compared to the explosion of great blogs there are today. The new bloggers are way more savvy than I was when I first started and it is evident from their presentation, their superb promotional skills and the way they write confidently. However, I have made it to the finals as I have many times in the past, even with my first nomination back in 2010, look I still have my badge! I can’t tell you what it would mean to win this award, having reached the finalists on so many occasions and being pipped at the post I am kind of setting myself up for another disappointment, but like everything in life – if you don’t give it your best shot then you’ll never know. I am very British about asking for votes (which clearly doesn’t help my case) but PLEASE, would you vote for my little blog in the Family & Lifestyle category? Votes close on 2nd July – THIS SUNDAY – so please don’t wait, go straight in and plant your cross on my name. I will be forever grateful to you. Just click on the link below and thank you for taking the time. I love my job and as trying as it can be to fit in a full-time working week, family needs, house needs, after school activities, shopping, ironing and all the rest that comes with a normal day to day life. I don’t want to stop working just yet. However, certain areas of my life are slipping and one of those is fitness. I don’t go to the gym anymore, I don’t like running, I rarely go swimming these days and if I do it’s just a dip in the sea. What I do like to do and it fits in around the madness of my life is walk. I treated myself to a Fitbit last year with my birthday money and have worn it more or less every day since. I love how it tells me how many steps I have done, it prompts me to get up and move if I’ve been sitting too long and it can show me how I have slept which I find oddly fascinating to check. Now the days are longer and brighter, I can walk the girls to the local clubs and at the same time stretch my legs, get a breath of fresh air and add some steps to my Fitbit count. Millet Sports got in touch recently and asked if I would be interested in reviewing a pair of their walking shoes. I didn’t even know there were such things as walking shoes! I clicked on their link and came across a lovely selection of what I would call trainers but trainers have come a long way since back in the day. I am now the very proud owner of these beauties, the best shoes for walking! First of all, they look the part and I am sure you will agree on that note. Nice colours, nice style and look sturdy but comfortable at the same time. Secondly, they are comfortable and supportive too. I have worn them to walk Baxter with a couple of school mums whilst the girls were at Brownies one evening but I had to stop and take Baxter home because he couldn’t keep up the fast pace. It was also a very hot evening, poor boy. I have used them to walk up to the shops and back. To accompany the girls to clubs but I am really looking forward to do some proper walking and I have in mind to complete the Viking Trail in Thanet, have you done it yet? So if you are looking for the best shoes for walking, then take a look at the Millet’s range as I think you’ll really like them. Disclosure: I was sent a pair of the best shoes for walking for the purpose of this review.